Naruto had changed in the past five years. He now wore a orange trench coat with a hood. He wore red sunglasses covering his blue eyes. He wore black anbu pants and black sandals. Under his coat is a mesh shirt and on his arm is a seal which as the Bodihōchō in it. As naruto sat in class he felt nervous. Today was the day hew was graduating from the academy. Naruto and shino had faced many challenges the biggest was the friend barrier. No girls or civilians wanted to be friends since they were hosts to bugs, there civilian classmates were told to stay away from naruto. Any clan heirs believed that since they were quiet that they didn&apos;t want to be friends. There first friend was shikamaru and choji, they four worked well together. The four were viewed as the dead last, since shikamaru, Naruto and shino would hold back and choji was not the best in class. They said Iruka walk in. He looked over the class. "Class quiet down," he said. When the class keep talking he developed a tick mark. His head expanded and he yelled, "SHUT UP AND SIT DOWN!" The class stopped and froze. "Good today is the gennin exam we will start with a written exam than a physical than ninjutsu, mizuki will you pass out the tests." Mizuki nodded and gave each child a test. The test was easy to most, basic questions. &apos;This is illogical&apos; Naruto thought sending the message to shino with their bugs. Over the years the two colonies became so intertwined that the two could speak with each other via bug telapathy​. &apos;I agree there will most likely be another test to weed out the week,&apos; shino thought back. They finish their test with ease. They moved to the next portion taijutsu. "You will be paired with another student and will spar for five minutes, one person concedes, or i say it is over," iruka said. "First up is shino and choji." Both walked to the arena. Choji dropped into his family&apos;s taijutsu form while shino just stood there. "Began," Iruka said. Choji ran at shino and threw a punch, shino side stepped it and tried to hit choji&apos;s pressure points. But missed due to choji&apos;s speed and strength. After a few more tries choji hit shino in the stomach. "I forfeit the match," he said. Than Naruto said, "why? It is unwise for him to get injured uselessly." After being together for so long the two had taken to finishing each other&apos;s sentences. "Choji winner," Iruka said. The matches continued in a similar fashion until he last match. "The final match is sasuke and Naruto." Both walked to the center. "You should forfeit dobe." Sasuke said with a smirk as his fan girls cheered him on. "That would be illogical," Naruto said. Then shino said "why? Because you have yet to fight,"
"Whatever one bug or two your still the dead last," he said. "Ok that&apos;s enough began," Iruka said. Sasuke fell into the interceptor fist, while Naruto stood there motionless. Sasuke smirked and charged him. He threw a right hook that Naruto side stepped and brought up a knee hitting him in the stomach. Sasuke charged again and kicked at Naruto&apos;s mid section. Naruto grabbed his feet and threw him. Sasuke was getting angry and blindly charged. Naruto hit him in he stomach with his enhanced muscles (from wielding the Bodihōchō) knocking sasuke on his back. Naruto followed up by hitting the ground next to his head. "Winner naruto," iruka said. Sasuke stood up and ran threw several hand signs. "Fire stye: fire ball no justu," he said exhaling a large fireball. Naruto spun around and unsealed his Bodihōchō. 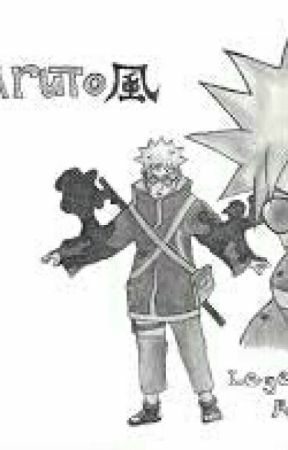 "Hidden ninjutsu: ice wirlwind no jutsu," Naruto said spinning his Bodihōchō on his right hand and a white vapor came from his left palm. Causing a wirlwind of vapor. That extinguished the fire ball. "Iruka Naruto cheated," yelled Sakura. Getting a sweat drop from most of the class. 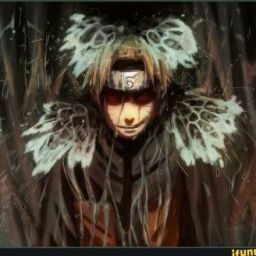 "Saskue this was a taijutsu fight your lucky you have the council or I would expell you" Iruka yelled. " Next is the ninjutsu." Eeryone took this separate Naruto was the last to be called.